Accurate chemical composition and the best purity are the highlighting factors of Monosodium Glutamate, which we offer. 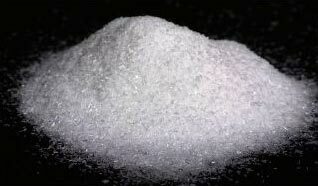 We are a reliable Supplier and Exporter of Monosodium Glutamate. Definition : (IUPAC name 2-aminopentanedioic acid. Also known as 2-aminoglutaric acid), commonly known as MSG, Ajinomoto, Vetsin, or accent, is a sodium salt of glutamic acid. MSG is a food additive, popularly marketed as a "flavour enhancer". It was discovered and patented in 1909 by Ajinomoto Corporation in Japan. In its pure form, it appears as a white crystalline powder; when dissolved in water (or saliva) it rapidly dissociates into free sodium and glutamate ions (glutamate is the anionic form of glutamic acid, a naturally occurring amino acid).